You don’t normally expect that response from someone with the title of Vice President for Conservation at a major U.S. zoo. But then again, the definition of a zoo these days is a lot different from what it was just a generation ago. Back then, the idea of a zoo was pretty much limited to a place you’d take the kids to see weird animals you couldn’t afford to go visit in their natural habitat. Unfortunately, zoos these days are often becoming the only places to see such animals as they hurtle toward extinction in the wild. 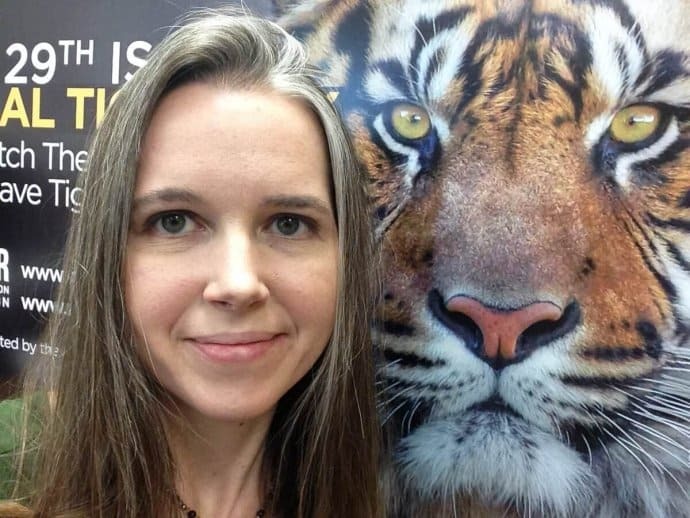 It’s passionate conservationists such as Dr. Tara Harris who have picked up the gauntlet of combatting what seems like the inexorable decline of the planet’s endangered animals. 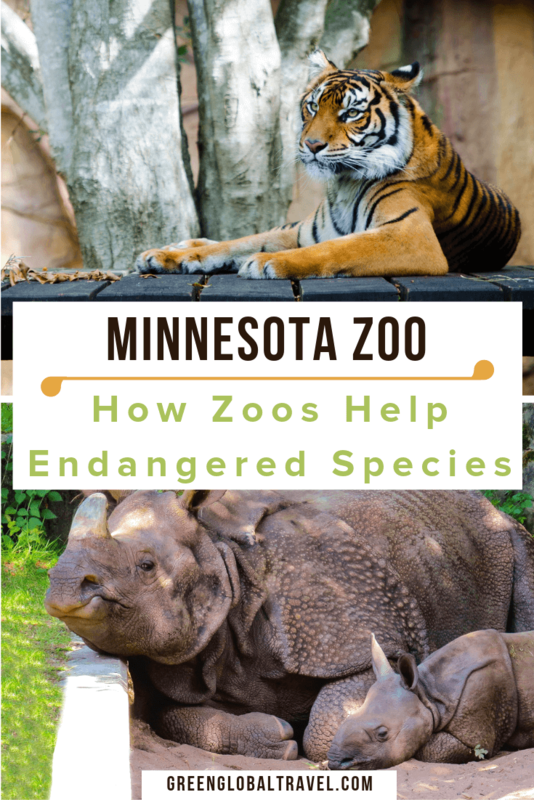 The Minnesota Zoo currently has several important programs in place, working to save species such as the Amur Leopard and Tiger, Dhole (Asian Wild Dog), Black Rhino, Przewalski’s Horse, and many more. Dr. Harris came to her job in a roundabout way. While getting her undergraduate degree in Biology at George Mason University (near her hometown in Virginia), she worked at the National Zoo in Washington, DC. 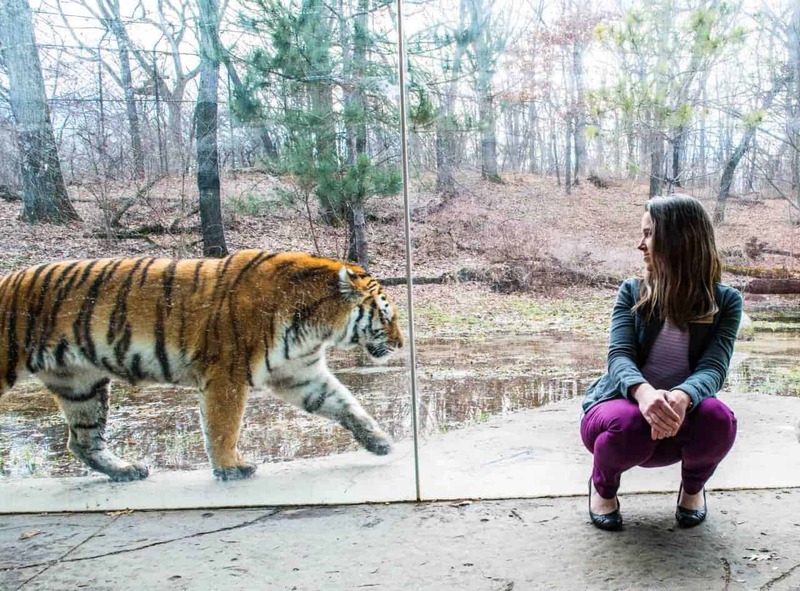 “The National Zoo fostered the growth of scientists to work on conservation,” she explained. After graduating she moved onto Yale, where Harris got her PhD in Anthropology. During her doctoral and post-doctoral studies, she spent four years in Uganda studying wild primates, “our non-human relatives.” There she became interested in the conservation work of primatologists Dian Fossey and Jane Goodall. And so that’s what she does now at the Minnesota Zoo. Species currently under her purview include everything from Butterflies to Moose in the United States, and Tigers, Rhinos, and Wild Horses in Africa and Asia. And the range of conservation programs she fosters are just as diverse. At home, Harris administers the captive breeding program of the Amur Tiger (a.k.a. Siberian Tiger), a species native to eastern Russia and northeastern China. There are currently two females and a male housed at the Minnesota Zoo, and a “possibility” that there’s a baby on the way. The wild population of the Amur Tiger, which is currently listed by the IUCN as Endangered, is approximately 500. 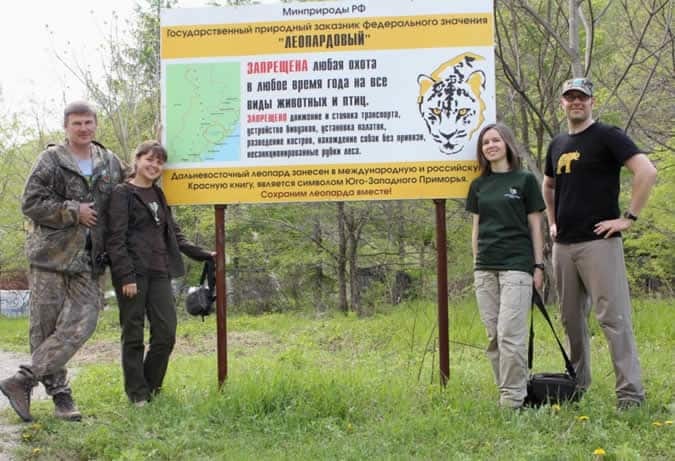 Dr. Harris has made numerous trips to Russia, to visit Tiger conservation projects in the wilds and meet with Tiger conservation experts in Moscow. “Do you think you were being hunted?” I asked. 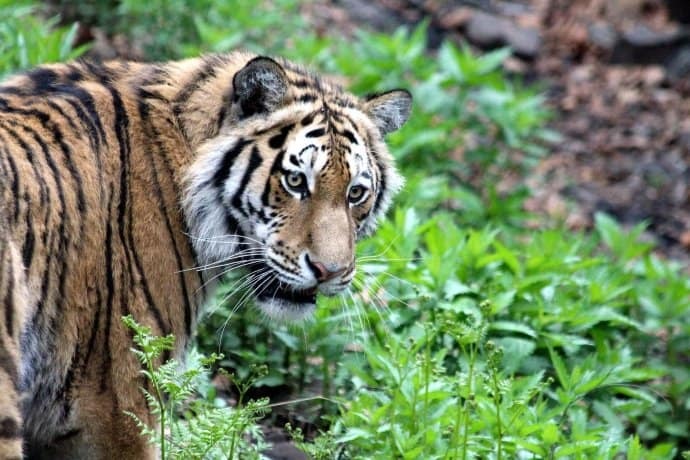 The Minnesota Zoo is supporting an interesting Tiger conservation strategy, working directly with Russian logging companies in the area to destroy old logging roads in the animals’ habitat. In all, there are roughly 330 Tigers currently housed in US zoos, managed under the Tiger Species Survival Plan of the Association of Zoos and Aquariums. But so far there is no plan to release any of these Tigers back into the wild. “These Tigers are a backup population” to insure against extinction, Harris explained. 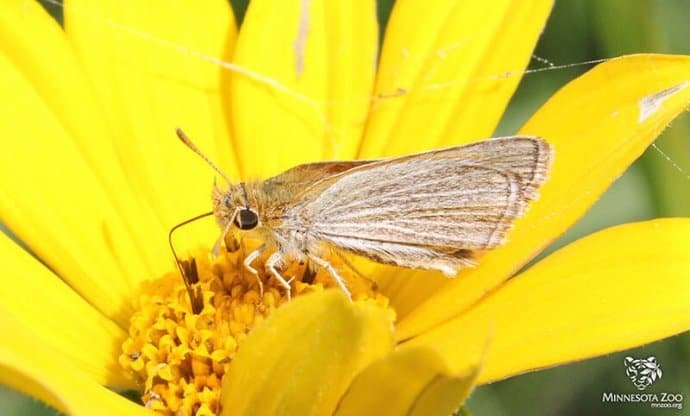 Other programs Harris has kickstarted at the Minnesota Zoo include those to study or help Moose, Freshwater Mussels, and the obscure Poweshiek Skipperling butterfly. This small butterfly has nearly disappeared from the North American prairies, where they used to flitter in uncountable numbers across Minnesota, the Dakotas, Wisconsin, and Michigan. 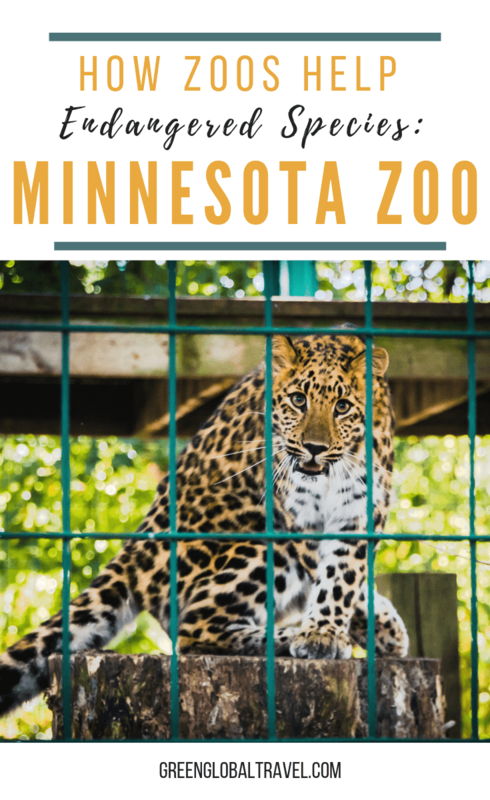 Some of the remaining few are now at the Minnesota Zoo, awaiting their release back into the wild. Butterflies– like their better-publicized cousins the Bees– are important pollinators. According to Harris, “they are the canaries in the coal mine alerting us to larger problems. Their decline says that there is something wrong with the health of the prairies.” And, by extension, the health of all plants that need the help of insects in order to reproduce. A more visibly successful program is the reintroduction of Bison to Minneopa State Park. As part of a partnership between the Minnesota Zoo and the Minnesota Department of Natural Resources, Bison that have tested free of cattle genes are once again populating the prairie in southwestern Minnesota. As a result, the number of travelers and locals visiting the state park has soared. 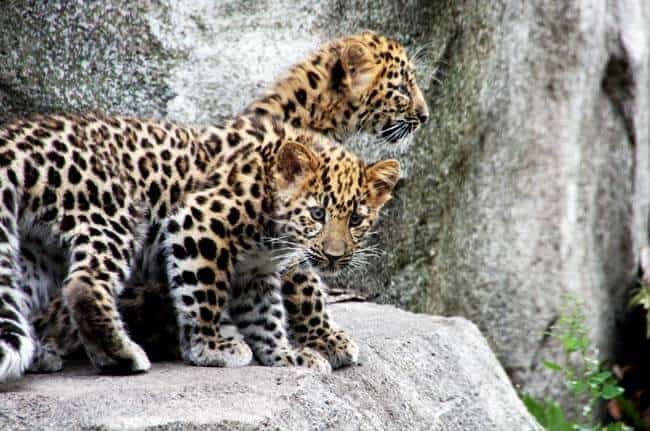 The promotion of responsible ecotourism as a means of funding wildlife conservation is being used successfully in other parts of the world as well. These rangers are essentially trackers who keep an eye on the critically endangered Rhinos living on their communal lands. In some cases, they also help guide wilderness safaris to see the Rhinos. 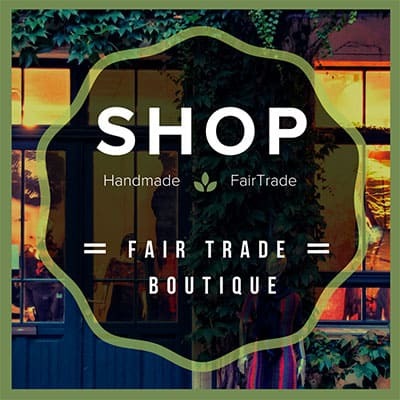 Visitors pay a bit of a premium to support the program, and the local community. 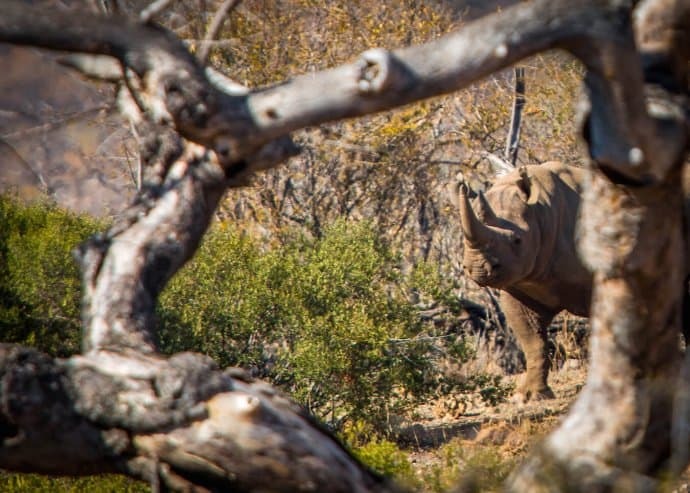 “Tourism makes the preservation of the Rhinos financially sustainable,” Harris explained. She noted the difference between the Namibian approach to Rhino conservation and that of South Africa, which she described as more “militarized.” More than 1100 Rhinos were poached in South Africa last year for their horns, which are highly valued on the black market.